News just broke: James S.A. Corey’s (Ty Franck and Daniel Abraham) Expanse series is headed for the Syfy channel, written by South Burlington writer Hawk Ostby (co-writer with Children of Men and Iron Man). 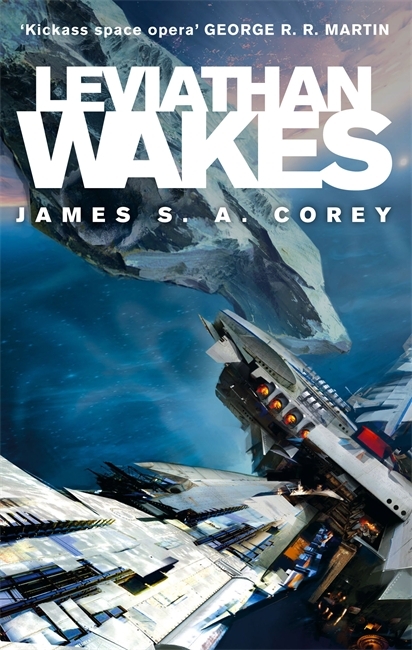 A thriller set two hundred years in the future, The Expanse follows the case of a missing young woman who brings a hardened detective and a rogue ship’s captain together in a race across the solar system to expose the greatest conspiracy in human history. Syfy has greenlit a direct-to-order series with ten episodes in the first season. It looks like they’re going the Game of Thrones route, by adapting each volume as a season. This is excellent to see, because Syfy has been on the ropes for a couple of years now: this would bring them thundering back with a space show. They’ve done some good stuff in the past, such as Battlestar Galactica, and this could be just as excellent. Otsby is a fantastic writer, and he’s been attached to some of the best SF projects to hit the screen in a while. Hopefully, they’ll keep the mention of Vermont Cheddar Cheese in the series. This entry was tagged James SA Corey, SyFy, The Expanse. Bookmark the permalink.